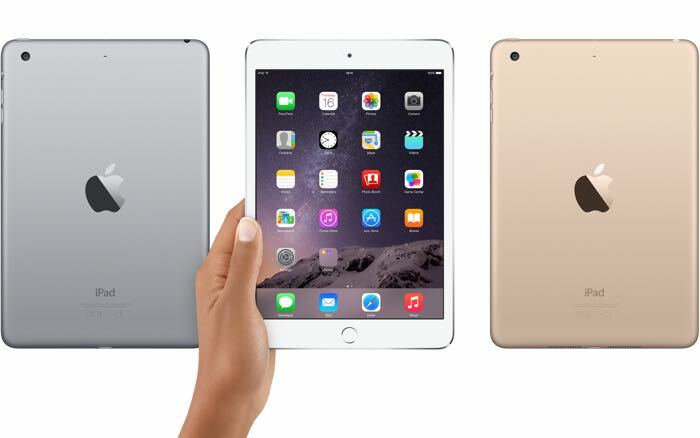 Back in October, Apple unveiled the update iPad Air 2 and iPad Mini 3 which is already available in several regions across the globe. If you’re based in India, you be glad to know the iPad Air 2 and iPad ,ini 3 is now available for sale in the region via several online retailers such as FlipKar and Infibeam. The new iPad Air 2 is priced at Rs. 35,900 ($576), while the miniature iPad Mini 3 comes with a Rs. 28,900 ($484) at several retailers in the region for the base model. Flipkart, one of the biggest e-commerce retailer in India, is also offering a next-day shipping for just Rs 90. It gets better, if you order the tablets using the Flipkart mobile app, you can get the shipping for free in selected cities. Apple iPad Air 2 comes with a 9.7-inch display sporting a resolution of 2048 by 1536 pixels, an A8X processor paired with 2GB of RAM and 16/64/128GB of internal storage. There’s an 8MP camera with f/2.4 aperture, LTE connectivity (the cellular version), Touch ID sensor and runs iOS 8 as its operating system. As for the iPad mini 3, it packs a 7.9-inch display with a resolution of 2048 by 1536 pixels, 64-bit A7 dual-core processor, M7 coprocessor, 1GB of RAM, 5MP rear camera, Touch ID sensor and runs iOS 8 as its operating system out of the box.